Recently the FDA have started to publish some guidelines about foraging for sale or buying to serve to the public in restaurants. This has generated some queries to the club about certifications and what is required to sell wild mushrooms to to restaurants or to the public. There is also local and State regulation to be aware of too. Each state has different rules and some of them are more mature than those of Pennsylvania so you need to research your own state to determine that your local regulations are. A recent review gives an indication of the regulations in place in the different states. 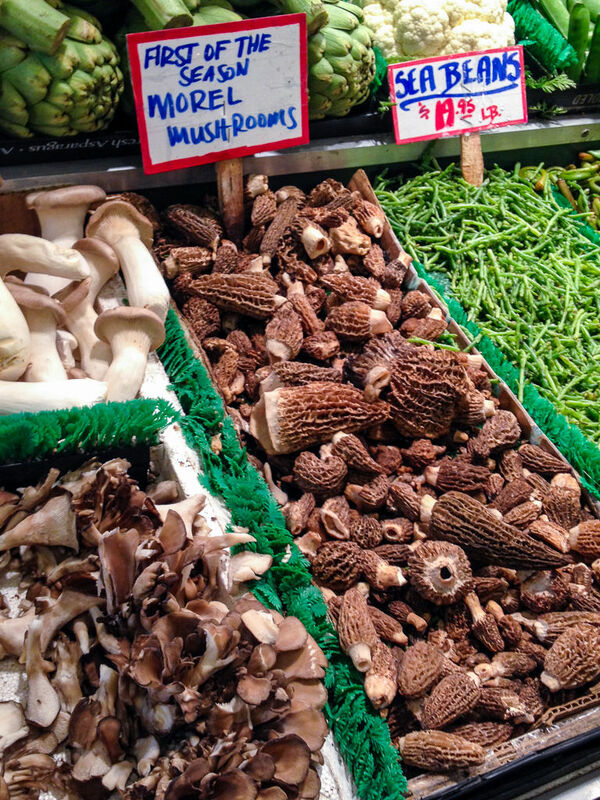 From this we can see that Pennsylvania allows the sale or service of foraged wild mushrooms at retail if they are identified by an “approved wild mushroom expert” with credentials verified by the state. There is also a list of species permitted for sale but as yet we have not found further documentation on either of these points. For information about where you can legally pick mushrooms see the Mushroom Picking Rules & Regulations in PA page. The information provided on this page is not legal advice, but only observations based on WPMC’s experience and, where possible, links to further information. The information provided here is not intended to be comprehensive and you should consult an attorney or the relevant government agency for more information about buying to selling mushrooms in Pennsylvania. We would like to thank Ryan E. Hamilton, Esq. from Fair Shake Environmental Legal Services for the presentation he made to the club in August 2016 that helped form the initial draft of this document. WPMC does promote the gathering of mushrooms–where permitted–for recreational, educational and scientific purposes. (a) General source requirement. Mushroom species picked in the wild shall be obtained from sources where each mushroom is individually inspected and found to be safe by a mushroom identification expert. The exceptions to this requirement are in subsection (b). (1) Cultivated wild mushroom species that are grown, harvested and processed in an operation that is regulated by the Department or other food regulatory agency that has jurisdiction over the operation. (2) Wild mushroom species if they are in packaged form and are the product of a food processing plant that is regulated by the Department or other food regulatory agency that has jurisdiction over the food processing plant. The FDA are in the process of developing a new regulation model for wild mushrooms and a guidance document that is been developed by the Wild Mushrooms subcommittee of the Association of Food and Drug Officials (AFDO). Officials from AFDO held a meeting in 2014 and released a presentation covering the developments. This guidance document details the type of record keeping and trackability that will be required for each wild mushroom sale in order to investigate food born illness. This information needs to travel with the batch of mushrooms and through the food chain of foragers, dealer and restaurants or markets and then stored for 90 days. Oregon already requires similar documentation and there are example forms available.